Most businesses are currently underutilizing their video conferencing software because they aren’t aware of the different ways it can be used. Understanding the different features of video conferencing software can be critical to getting the most out of your investment. These features often vary from one option to the next as well, so it's important to do your homework before choosing a specific service. 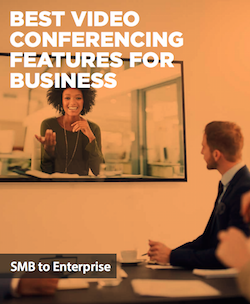 To help you make sure you are getting the most from your software, we’ve put together this guide on the Best Video Conferencing Features For Business.